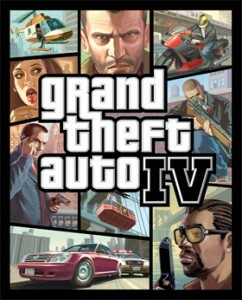 The downloadable expansion pack for Grand Theft Auto IV: The Lost and Damned has been announced for Xbox 360 release on Feb. 17, 2009. Rockstar Games released Grand Theft Auto IV in April of 2008, and gamers have been looking forward to expansion packs ever since. Grand Theft Auto IV is available for both Xbox 360 and Playstation 3, but Microsoft has been trying to gain some ground on Playstation GTA players by creating Xbox 360 exclusive expansion packs. Take Two Interactive was chosen to create two downloadable expansion packs and “The Lost and Damned” is the first of them. The expansion packs will include new weapons and vehicles (no surprise here) and will come with multi-player modes. Players will not play as Nico Bellic however, but as a new character who apparently runs into Nico throughout the game.